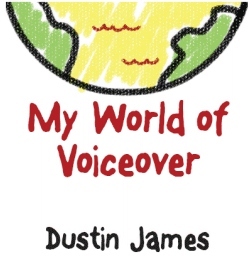 A world of voiceover. Dustin James, who is represented by the DPN Agency in Los Angeles, is splitting his time between two cities but he is loyal to only one recording studio for his voice work. The Gold Series VocalBooth from VocalBooth.com has earned his devotion so much so that he has bought two. So now—no matter which of his studios he’s in—he has a VocalBooth. Dustin has been working in New York and Los Angeles for over a decade, providing voice tracks for commercials, promos, animation and narration. Commercially he’s worked for McDonald’s, Ford, and Wal-Mart, to name just a few. Also he is featured in the TRESemme TV Ads and the promotional radio campaign for Showtime’s television series ‘Weeds’ and ‘Nurse Jackie.’ Also you will hear him guiding you through the IVR (Interactive Voice Response) for Qwest and DHL. In addition to being a voice-actor, he consults his clients during the development and recording process of their campaigns and provides them with an in-house alternative for ‘audio sweetening’ via both his recording suites, The Artist’s Den – Los Angeles and Scottsdale. Dustin’s mission is to provide versatility as a voice-actor, while delivering broadcast quality tracks via ISDN, Phone Patch, or Pro-Tools offering professional, and comfortable in-house solutions for those requiring assistance in the completion of their audio production.